Today, 16 February 2009, marks yet another potential victory for police repression. 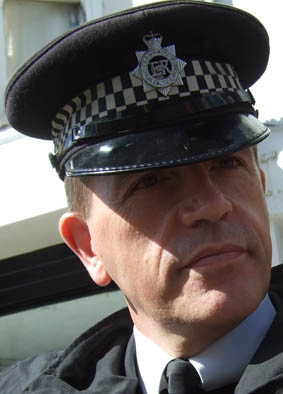 While the FIT and various other elements of the constabulary and intelligence services continue to harass protestors, it is now illegal under new counter-terrorism legislation to take pictures of a police officer ‘likely to be useful to a person committing or preparing an act of terrorism’. In other words, the cops will arrest anyone they don’t like with a camera (probably even without a camera) and then use the blanket excuse of ‘terrorism’ to muzzle them. We won’t let them get away with it. 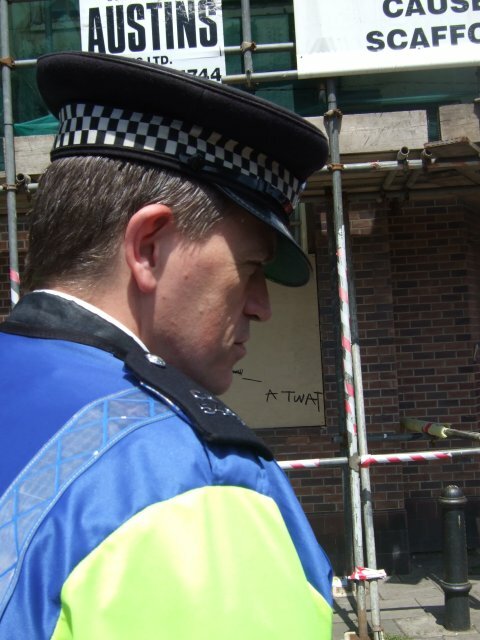 In solidarity with the National Union of Journalists (NUJ), the British Journal of Photography (BJP) and Fitwatch, South Wales Anarchists are hosting a Copwatch Special and we invite you to participate with your own cop stories and photographs. 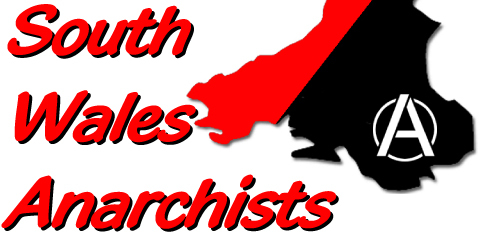 Contributions to cardiffanarchists@riseup.net or post them directly to our blog. 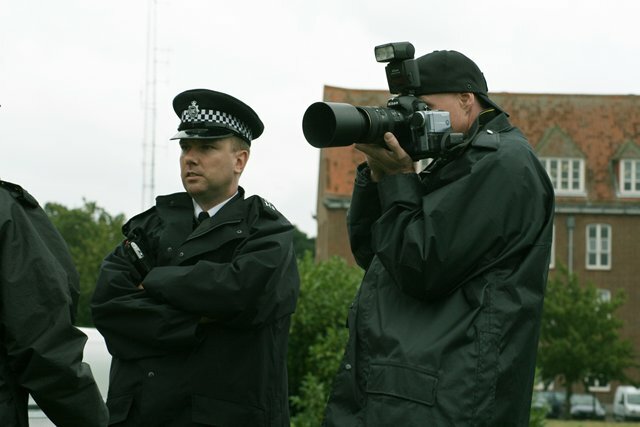 Come on, bobbies like Ian Skivens (right) deserve a bit of limelight!